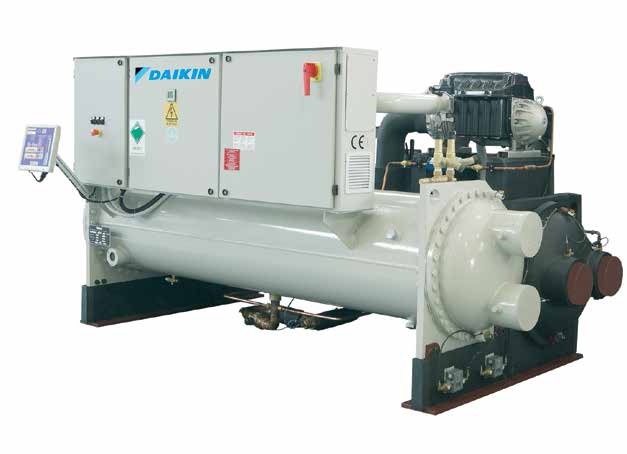 Daikin is Europe’s leading manufacturer of highly energy-efficient heating, cooling, ventilation and refrigeration solutions for industrial applications. Daikin chillers offer the ultimate in flexibility and control — a reflection of the advanced technology inherent within them. Unique in their precision, power, low operating noise, easy maintenance and low running costs. 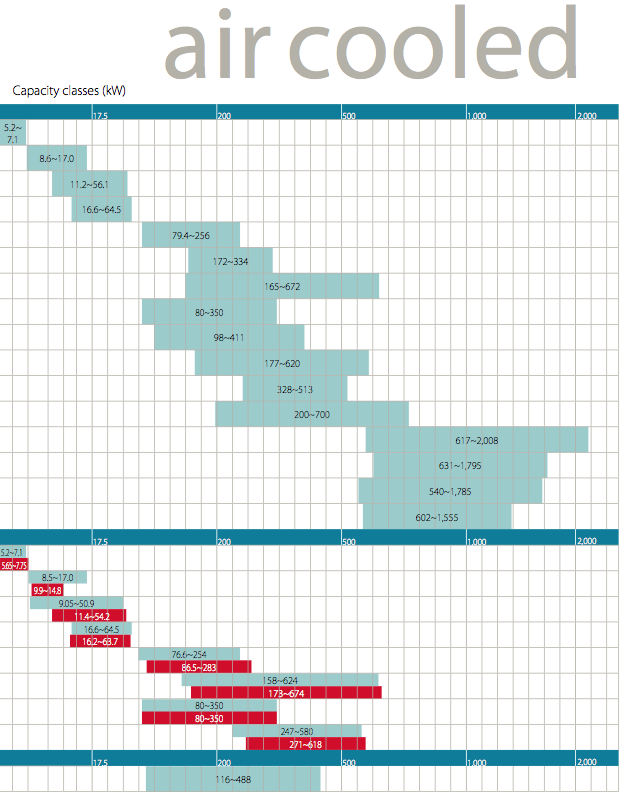 As a manufacturer that makes its own refrigerant and compressors, Daikin has total control at the production stage. 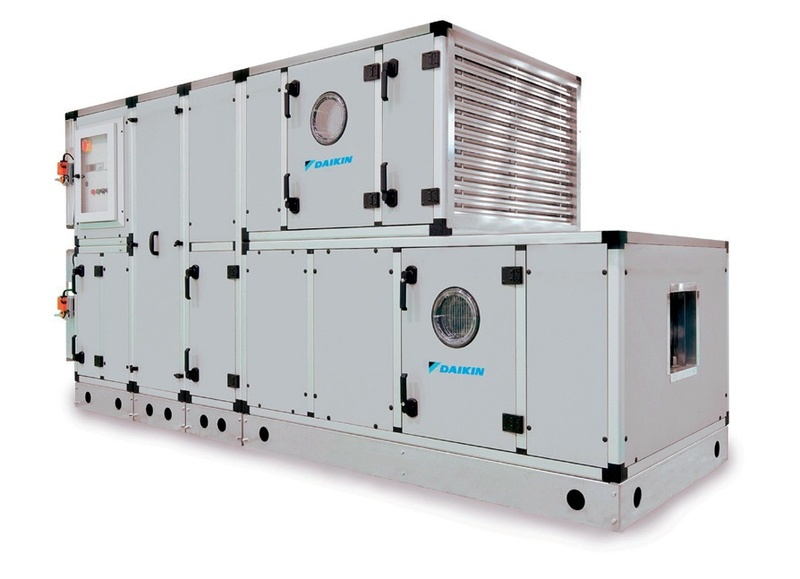 Daikin also offers a complete range of air handling units to meet modern-day requirements for better indoor air quality and increased insulation standards. STANDARD ANTI-CORROSION TREATMENT Epoxy treatment The aluminium fins are black-epoxy coated. 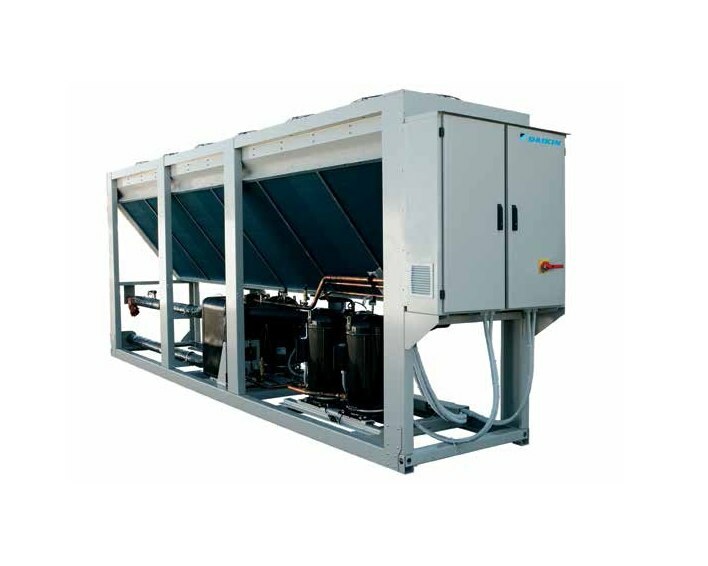 Condensers for air cooled chillers are given anti-corrosion treatment as standard. Depending on the temperature requirement either partial heat recovery or full heat recovery may be selected. 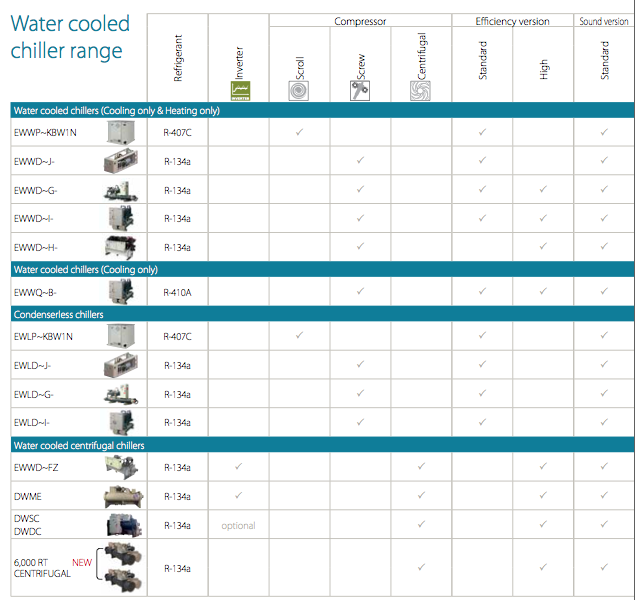 Compact water cooled chiller units which require only very limited space in a machine room. 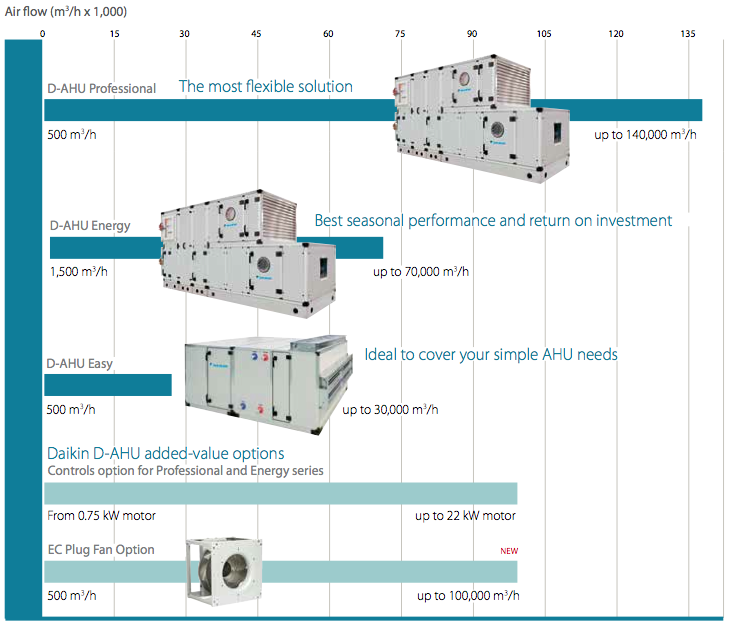 The D-AHU Energy has been designed to optimize the energy consumption and thus minimize the running cost. 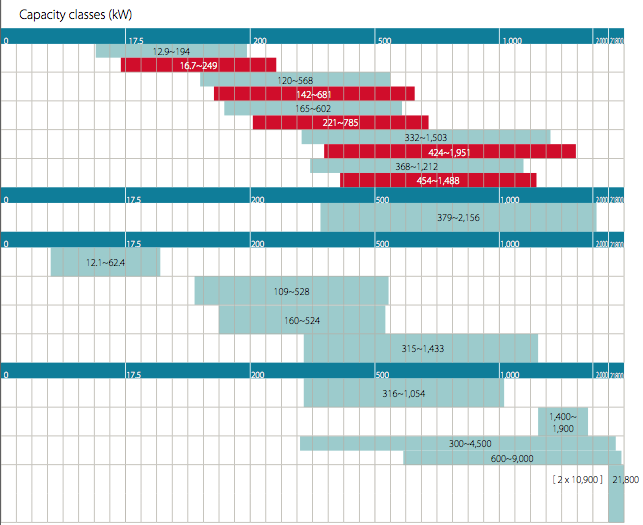 Twenty-seven fixed sizes optimized for the most cost effective selection and manufacturing standardization. All the sizes are modular manufactured to facilitate the transport and the assembly on site.